Reprint of LEC #157, 15th Series, V. 5 in 1944. 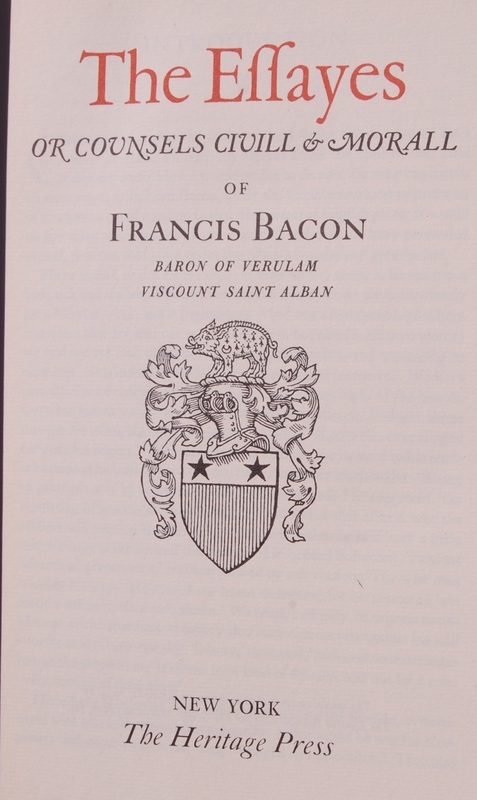 Front Binding – Today brings the sole offering from the noted scholar and essayist Francis Bacon to the George Macy Company, a superb printing of the Essays (or Effayes, as the title page and spine depict it in the language of Bacon’s day). The LEC and Heritage editions are similar in terms of appearance, although the LEC uses far more exquisite materials. 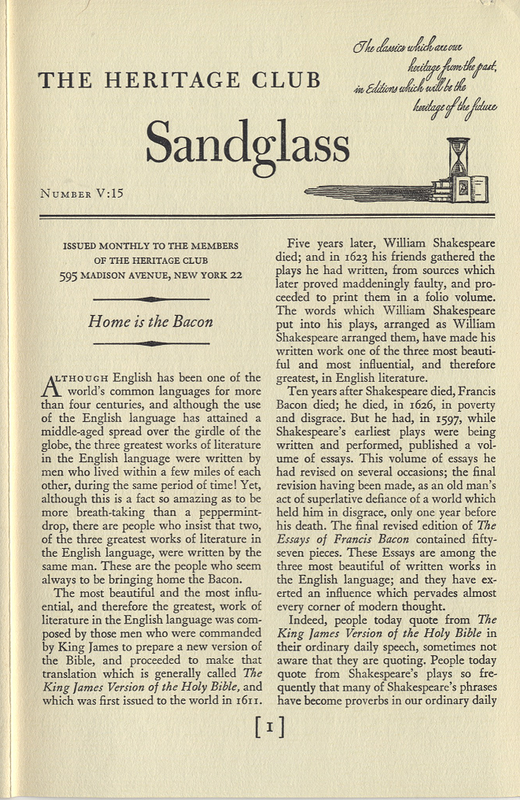 For a bevy of life details on Bacon, see the newly appended Sandglass below, courtesy of Django6924. Bruce Rogers was the designer of the LEC edition, and that design pretty much carried right over to the Heritage. 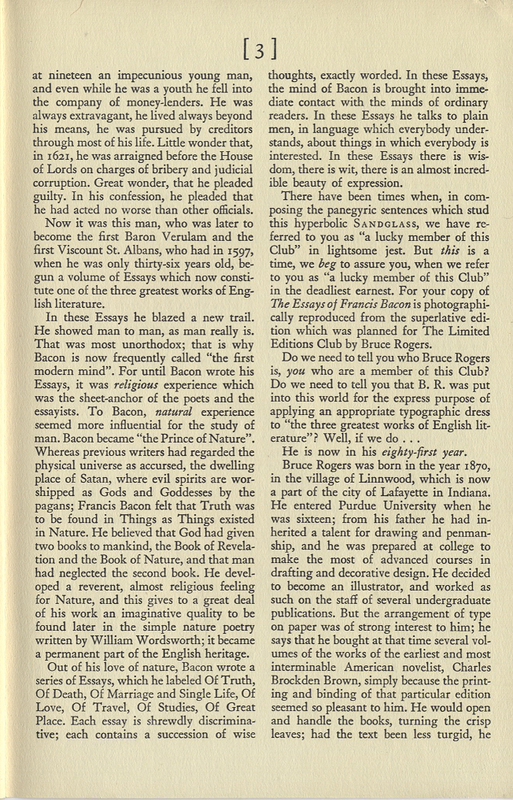 Rogers chose to maintain most of the original spelling and letter differences of Bacon’s original writings here, and he provided some rather nice decorations for the openings of each essay, for the title page, and the binding. Rogers has once before been spotlighted here, with The Federalist Papers. He was 81 when this Sandglass was printed (74 when the LEC was issued), and passed away in 1957. Design notes: Janson is the font of choice; Rogers decided to redraw the majority of the letters, which were specially cut for the LEC edition by the Monotype Corporation. Decorations are in Garamond. The first letter of each essay was designed by Rogers and serve as the illustrations. Each page was meticulously formatted by Rogers to his exact standards. The Heritage pages were printed via lithography by the Duenewald Printing Corporation, and Russell-Rutter handled the binding. 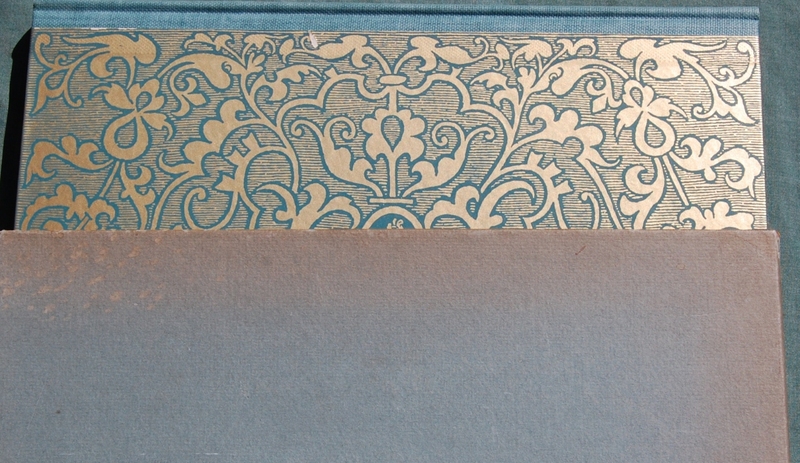 Rogers drew the cover illustration, which was printed with gold leaf paper. The design was taken from one of Queen Elizabeth I’s tapestries from her throne room, which is quite apropos. The boar was Bacon’s, taken from his crest. The spine is a greenish linen. 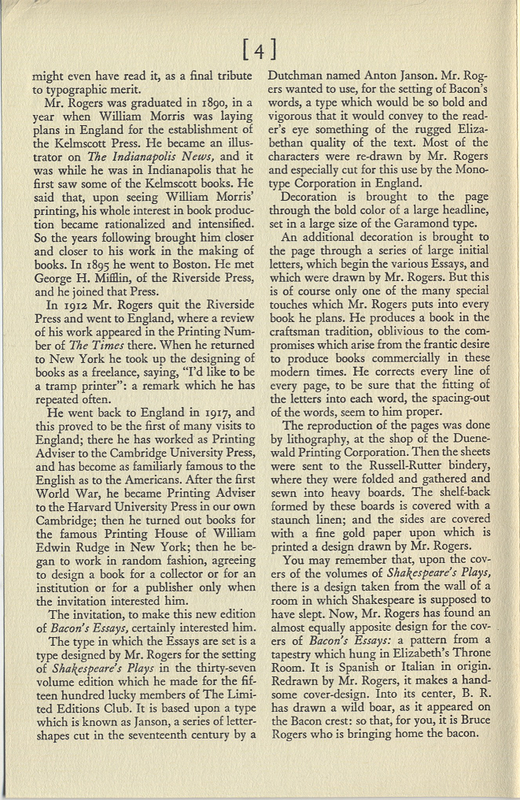 Title Page – A rather dynamic title page, with Rogers’ design flourish in full force. 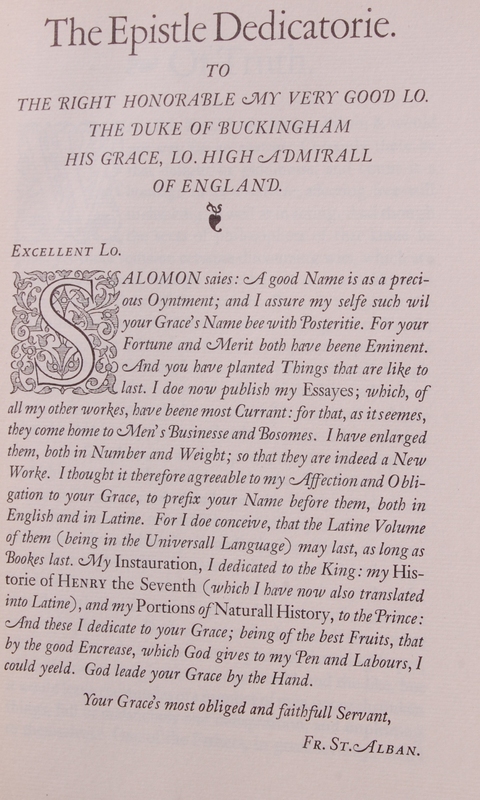 Christopher Morley supplies an introduction, which is not noted here, but it is on the pre-title page. Morley concedes a bit of his space to A.S.W. Rosenbach for a postscript. 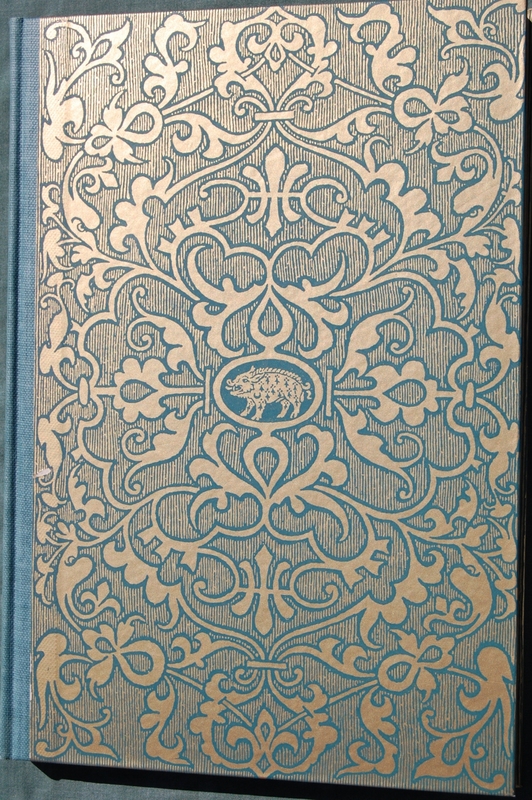 Personal Notes – I bought this at Bookbuyers in Monterey, if my memory is not mistaken. I was quite taken by the lovely cover, and would like to give the essays a shot in the future. 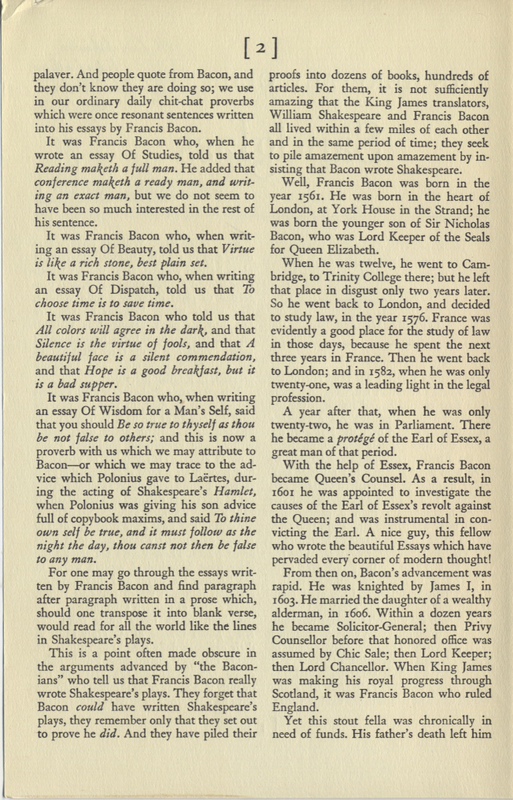 You are currently reading Heritage Press – The Essays of Francis Bacon (1944/1951) at The George Macy Imagery.